It seems these days that developments are popping up all over SE16. Some you can find plenty about online and others emerge from the architect and planners’ offices without a morsel of notice. So it was for me with the arrival through my door of a heavy duty A4 sheet – labeled Newsletter 1 April 2015 – about plans for public consultation about a new site. 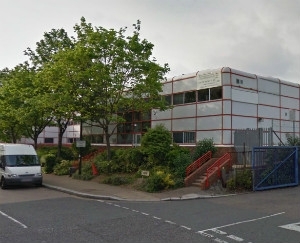 The developers concerned turned out to be London Square, based in Ickenham near Uxbridge, a newcomer to the area. They in turn have called in Assael Architecture as their initial design partners who have previously worked in both Lambeth and Lewisham. The ecology and sustainability consultants Greengage from Borough SE1 have also joined the team to work on the environmental aspects of the development. Four Communications also based in London Bridge SE1 are handling the PR and communications for the exhibition. The site concerned – 24-28 Quebec Way – sits in the midst of other developments. Along the rest of Quebec Way, London and Quadrant are currently building Quebec Quarter, which will comprise seven blocks of varying heights and offering 366 homes when complete. 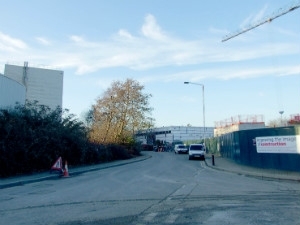 Sitting on the corner with Roberts Close, immediately in front and behind the site is land owned by British Land and due for redevelopment as part of the Canada Water Masterplan currently being finalised for application for outline planning permission later in the year. (We should hear more about these ambitious plans in June or July.) The rear of the site borders on a vacant plot enclosed behind a security fence and right next to the Russia Dock Woodland. Both Alfred Salter and St John’s Primary Schools are very close by. What’s it used for now? At present the site is dominated by an uninspiring two-storey grey and red office and warehouse block from the early 1980s that was once part of the Quebec Way Industrial Estate. Facing the road, it has had various firms based there in recent days including Belakos Carpets, Women’s Education in Building, Northgate Information Solutions plc and Natural Elements Flooring Ltd. With an overall site of about 1 acre (0.4 hectares), the rest of the site has storage and parking facilities at the rear with a vehicle entrance from Roberts Close, a dead-end next to the site. The newsletter was dropped through the doors of the community because London Square are holding an exhibition to share their initial thoughts on developing the site principally for homes. The developers are at an early stage with their plans and so are holding the exhibition to show locals their thinking so far and to gather views on how the site might best match the aspirations of local residents and businesses. London Square are keen to tell us about the awards they have won for being the Newcomer of the Year in 2012 and highly commended in the Best Small Developer category in 2014, both at the RESI Awards. Let’s hope they can also listen with care and attention to the visitors to their exhibition and use that knowledge to develop a fresh, integrated and appropriate design for truly affordable and desirable homes worth living in. Public Exhibition will be held at Alfred Salter School, Quebec Way SE16 7LP on Friday 8 May 15:00-19:00 and Saturday 9 May 10:00-13:00. Do make your way along and let the London Square know what you think should replace the current office / warehouse.